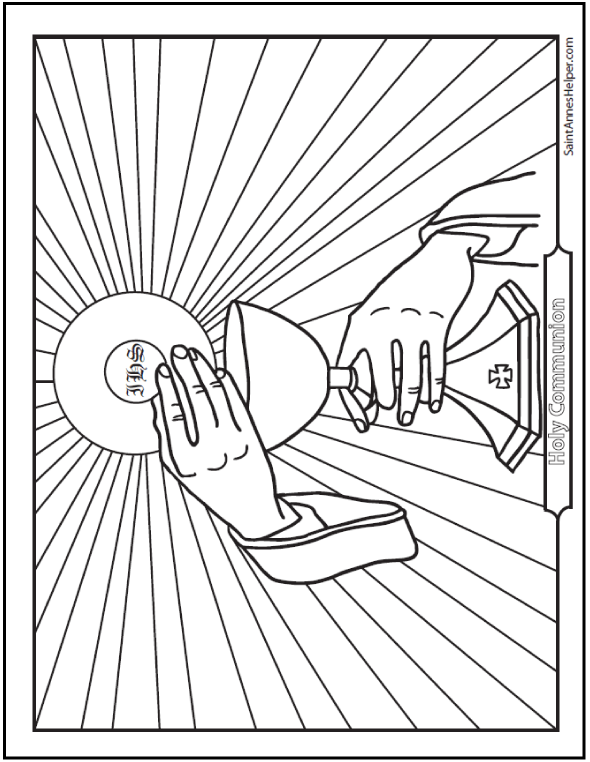 This is a glorious holy Communion coloring page for First Communion class. This is an excellent picture for teaching about the Holy Eucharist. After the consecration the Host is Jesus' Body and Blood, Soul and Divinity. This PDF prints 8.5x11" single sided. The priest holds the Host and Chalice up for us to adore at the Consecration and other moments in the Mass. Another place to find communion coloring pages is to look in embroidery patterns. Mary Corbet has a beautiful First Communion pattern here. 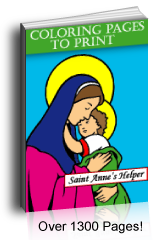 She tells the story of making her niece's prayer book cover and shows you how to make one, too. Beautiful!